It is time to share some helpful tips and advices about Google search. You can use these tips to improve your language learning skills and vocabulary. Also, you can use them while using Google’s integrated dictionary. To be brief, there only few ways you can use this tool with the help of search bar. First of all, you can explore the definitions. Also, you can search some synonyms (similar meanings words). And, of course, antonyms (the opposite meanings words) is the third way. And I must say, that I was using only the definition way for years. And just not long time ago I learned two other ways of Google search. It is the first way and most common for most of the Google users. It is easy and very quick searching way for definitions. Just type “define” and the word you want to know. For Chrome browser users, there is a feature that allows you to do this job right from the address bar. Other ones need to go to Google and its search box. So, it is clear for you to find the definition of the word “synonym”, you should type “define synonym”. 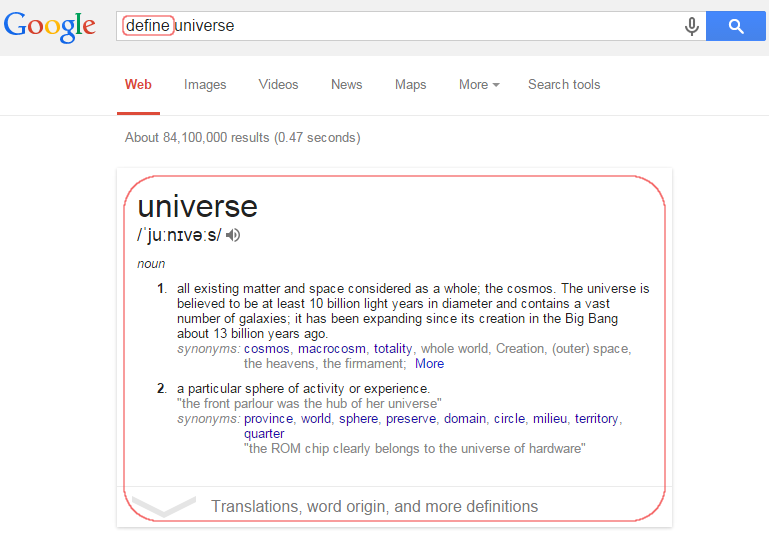 There is also Google integrated dictionary at your service if you want to find some equivalents for the word. It is suitable for those students who are writing an essay avoiding the same word repeating. So, you can find some equivalents here. The story is the same here. 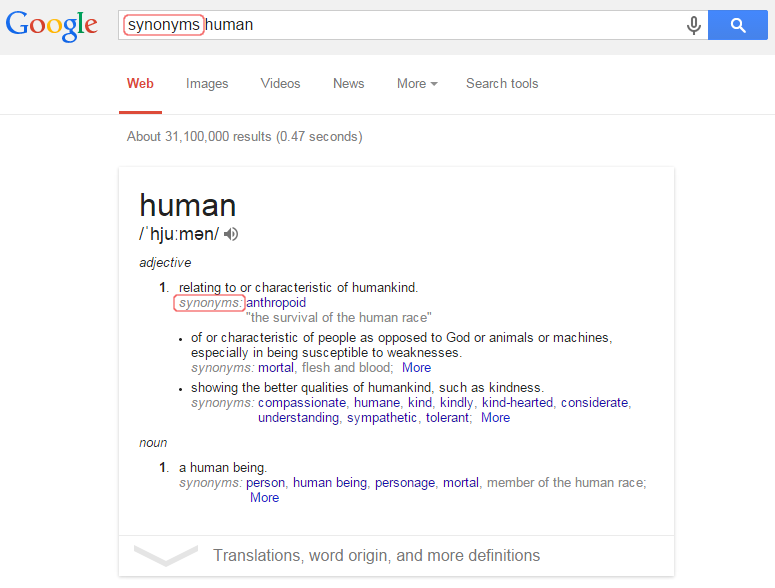 If you want to find some synonyms, just type “synonym” and then the word you wish to search. The search for the antonyms is the same. You can use Google integrated dictionary for this job efficiently and free. 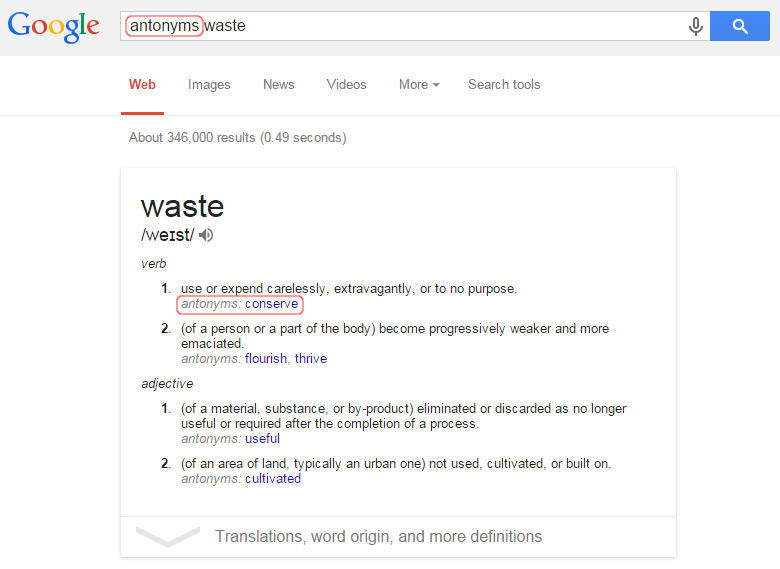 To find some opposite meanings for the words you should type “antonyms” and then the term you want to find.